There are times when a school or community may be experiencing crisis and your mentee may look to you for support. 1. Contact Your School Your first step is to find out what resources are available through the school district and make sure your mentee is aware of these resources. 2. Contact your TeamMates Coordinator Your TeamMates Coordinator is there as a resource and support as well! Be sure to communicate with them if you have specfic needs beyond what the school can provide. 3. Be an Advocate Your role is to be an advocate for your mentee. If you see that your mentee needs help beyond the mentor’s role, your TeamMates Coordinator can help identify resources at the school and in the community. Listed below are tools that will help your mentee feel safe amidst crisis. Click on the link for tips on how to support your mentee during times of crisis. Click on the link above for tips from the TeamMates Training on how to support your mentee during difficult times. 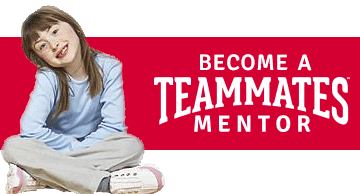 Call 1-888-788-7727 for help with confidential issues related to the TeamMates Mentoring Program. If your mentee needs support outside of school, make sure they have this hotline in hand. Trained counselors are on call 24/7 to support youth and their families in crisis. Call 1-800-448-3000 or click on the link above for details.